This folding mat made of Thick Foam PU Leather Foam layer to provide best shock absorb support, and it maintains its shape over time, and offers moderate firmness with flexibility. It comes with double easy to carry handles, making it very easy to move and carry. It can be cleaned with a damp wet cloth. The tri-fold design is compact to fit easily into closets, car trunks, or in storage units at the gym. At 6-feet in length, it allows most users to lay down comfortably. 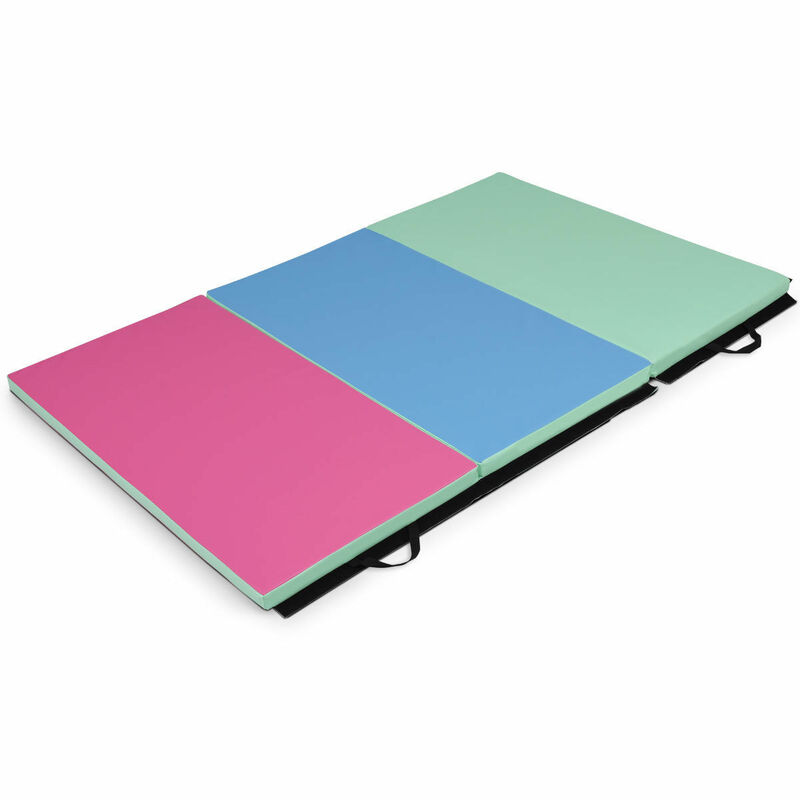 This durable gymnastic mat is ideal for your healthy workout.